"Steve Jobs, IT genius or marketing spin doctor? You decide." Steve Wozniak: "What do you do? You're not an engineer, You're not a designer. You can't put a hammer to a nail. I built the circuit board! The graphical interface was stolen! So how come ten times in a day I read Steve Jobs is a genius? What do you do?" Steve Jobs depicts the iconic household name at three key product launches in his career and the result is an absolute triumph in film-making and story-telling. 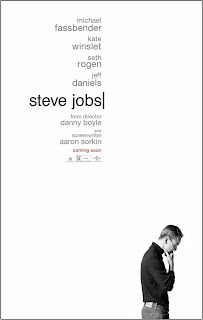 This movie is set in three clearly defined acts, the launch of the Macintosh in 1984, the Nexus in 1988 (Jobs' company after his firing from Apple) and his re-instatement at Apple, launching the iMac in 1998. Set back-stage on the day of each launch, we are shown the highs and lows of Jobs' world both with co-workers and board members and the centre to the story arch, the troubled relationship with his daughter. 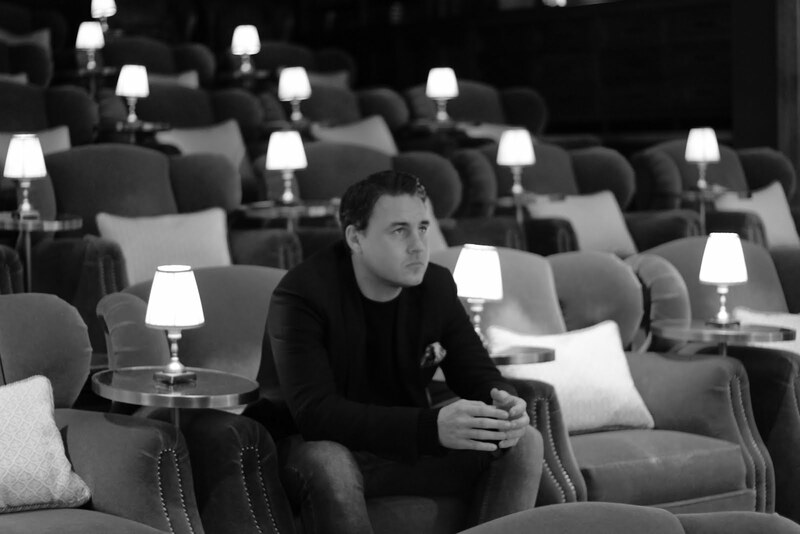 While almost all movies adhere to the three act structure, not many so clearly define these acts or even go so far as to have each act created in a different format. Something that for this fast paced, entirely dialogue driven movie, works so damn well. Director Danny Boyle (Slumdog Millionaire, Transpotting) actually filmed each section of the movie in a different film format, 16mm, 35mm and digital to reflect the evolution of Jobs himself along with the technology he creates. 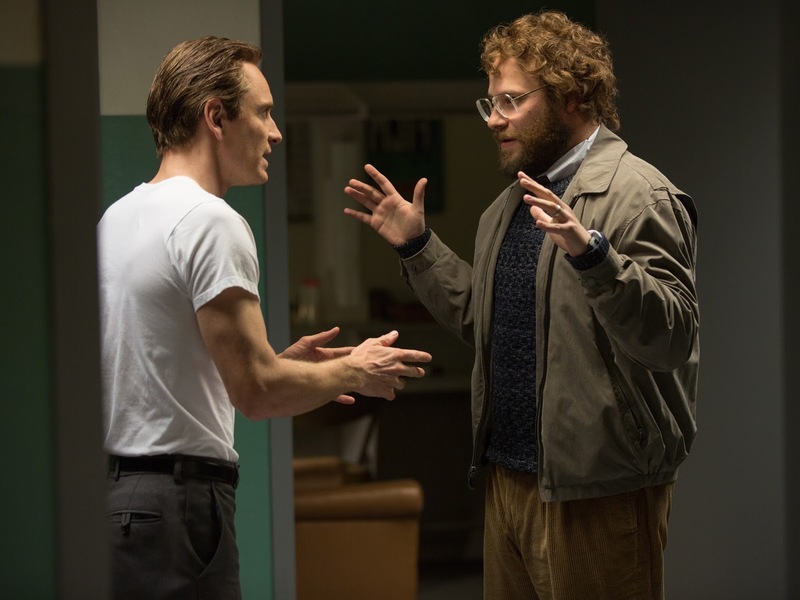 While this is not something the regular joe movie goer will realise, it does show the lengths Boyle has gone to to bring us the definitive Steve Jobs movie. While we are on the subject, check out the real life advert for the Apple Mackintosh that aired during the 1984 Super Bowl worldwide, directed by none other than Ridley Scott! Reportedly something that Jobs had to fight the Apple board tooth and nail on for it to reach the airwaves. Do we really need anymore discussion on whether this man was a marketing genius? 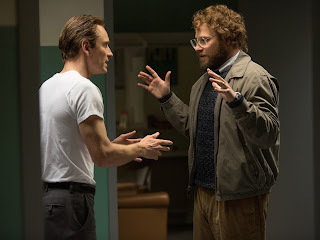 Fassbender is brilliant as Steve Jobs, to play a high profile figure who is so well known for being, well for want of a better phrase, a bit of a dickhead and yet still make the audience gripped by every scene is incredible. 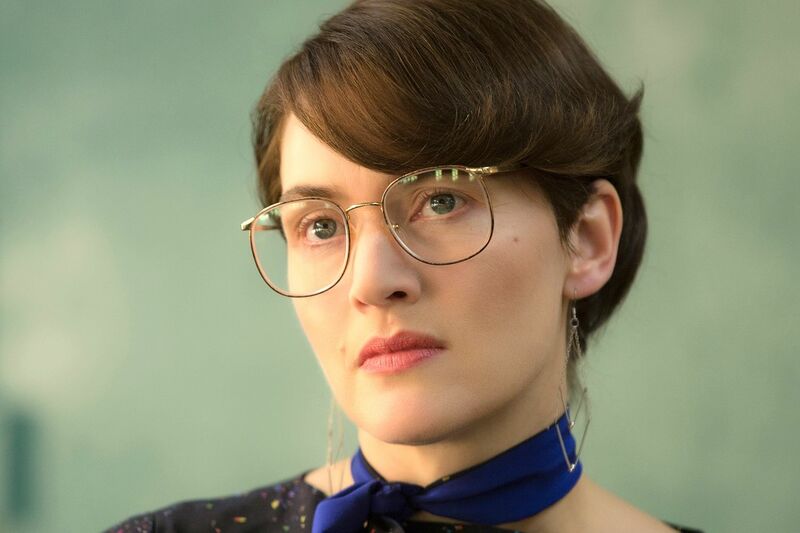 Kate Winslet is unrecognisable as Joanna Hoffman, Marketing Executive for Apple and Next and Steve Jobs' long term sound board and confidant. This could win her best supporting actress, bold, quick witted and the guiding voice of reason to the lead it is an amazing performance. The hair and makeup are so good you will wonder if it really is Kate Winslet as you breakdown her Eastern European accent (we'll forgive her American accent for the first act as the rest was spot on). Along with Fassbender and Winslet, Jeff Daniels, plays Apple's CEO, John Sculley, the friend come father figure turned enemy for the volatile Steve Jobs. Fresh off his most recent Sorkin collaboration, The Newsroom this is a man that is in his acting prime with the dialogue and rapport to bounce off of the likes of Fassbender - it is acting gold to watch. 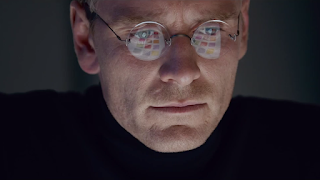 There is one moment when Fassbender is in full attack mode where he delivers one of the great put downs about how the failed Apple Newton was discontinued because it used a stylus rendering your other four fingers obsolete. While the movie portrays a man on a mission that will stop at nothing and no-one to achieve his life changing dreams, at the heart of it is the story of a father and his daughter. This fractured relationship is presented at various stages over the three time-frames as we are shown how this relationship changes and ultimately changes Jobs' hard edged persona. This movie has already done far worse in the US than anyone could have predicted yet I have no doubts that this will stand the test of time. For me, it should be mandatory viewing for all wannabe marketeers. The film flies by at an electric pace with incredible performances from literally every single actor on screen. It's beautifully shot as you would expect from Danny Boyle and the subject matter is one we all think we know yet artistic license or not it is one we are grateful to hear more on. A huge Oscar candidate I am sure, in which category though I wouldn't like to say. Let there be no doubt that you need to see this movie in 2015. How do we like them Apples?? Well, we like them very much thank you. 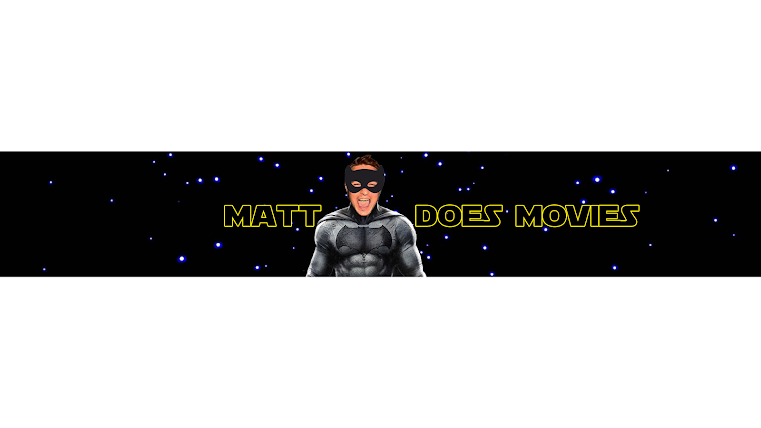 The film was riddled with changes at every step of the way. Originally owned by Sony for three years, the movie rights went to Universal who acquired them. David Fincher (The Social Network) originally was the director before being kicked off for his demands of $10,000,000 and total creative control. Christian Bale and Leonardo Di Caprio were approached to play the lead before both turned them down and Fassbender won the role.